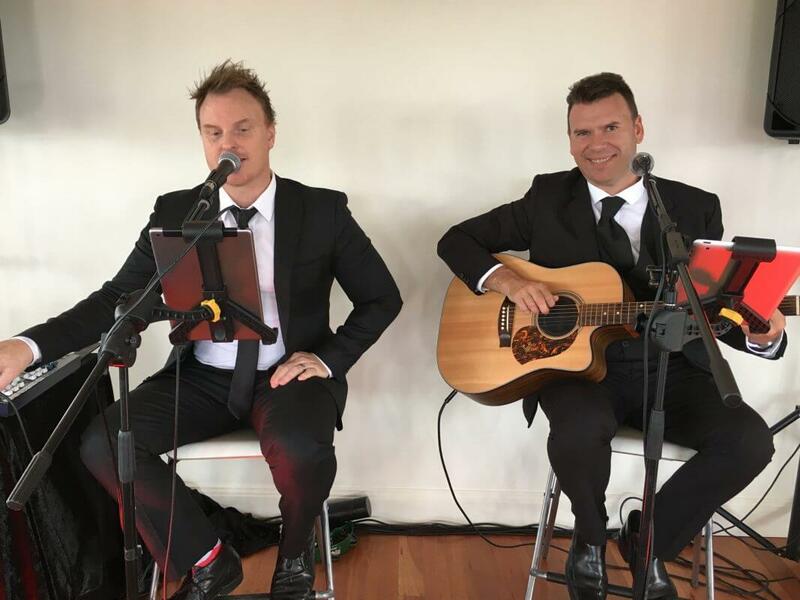 Something Borrowed offer exceptional music entertainment for weddings, functions and special events throughout Melbourne and surrounding areas. 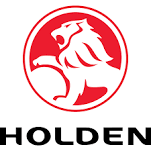 On occasion, we also provide entertainment to other states and regularly perform in Tasmania, Sydney, QLD and Adelaide. 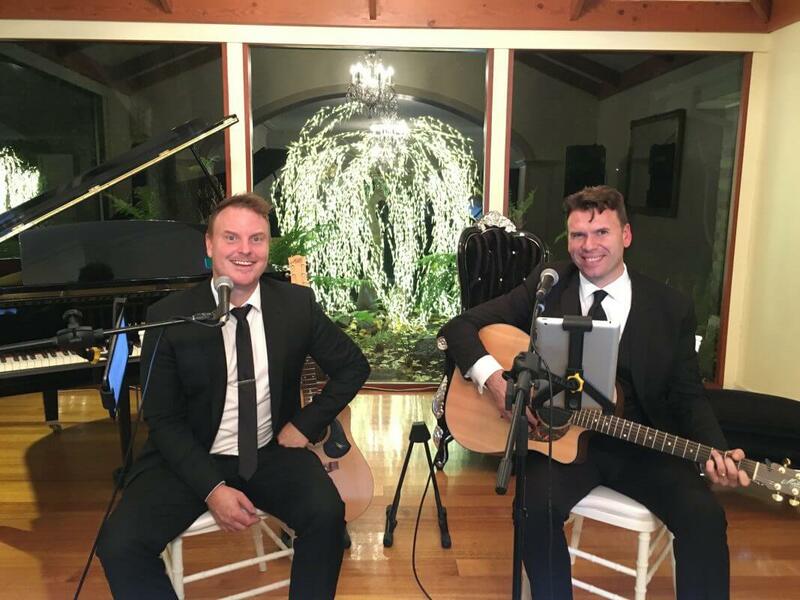 Having performed together for over 10 years, Adam and Brendan have a wealth of experience that helps to ensure everything runs perfectly on the day for you. 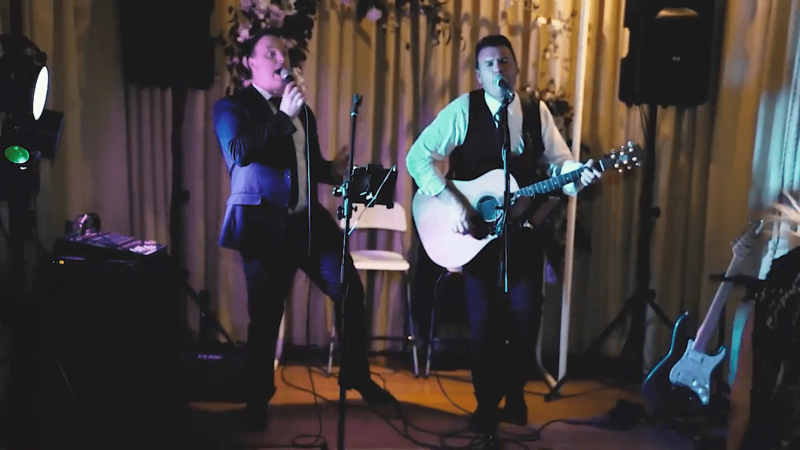 Something Borrowed offer a broad range of musical styles so whether it’s a corporate function, a wedding reception or a roaring party, they have the skills, equipment and repertoire to make the event a massive hit. 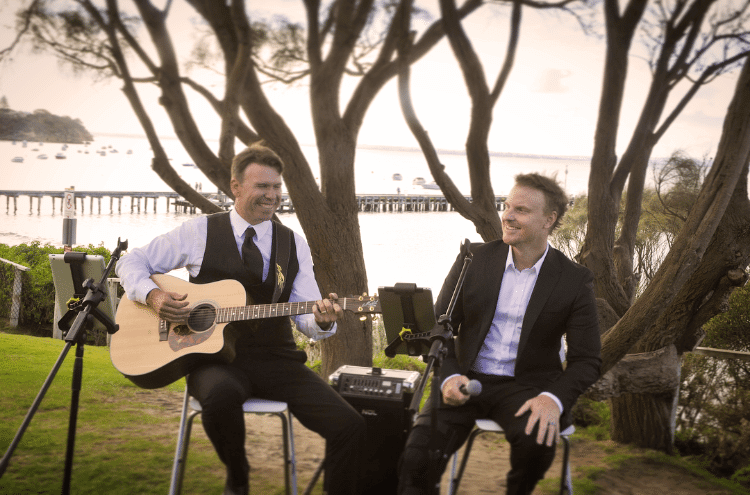 Playing a variety of acoustic only sets, through to full band sounding sets, you get the right music at the right time. We set the scene early by playing a few choice songs as guests arrive for the ceremony. Then,… the moment has arrived. 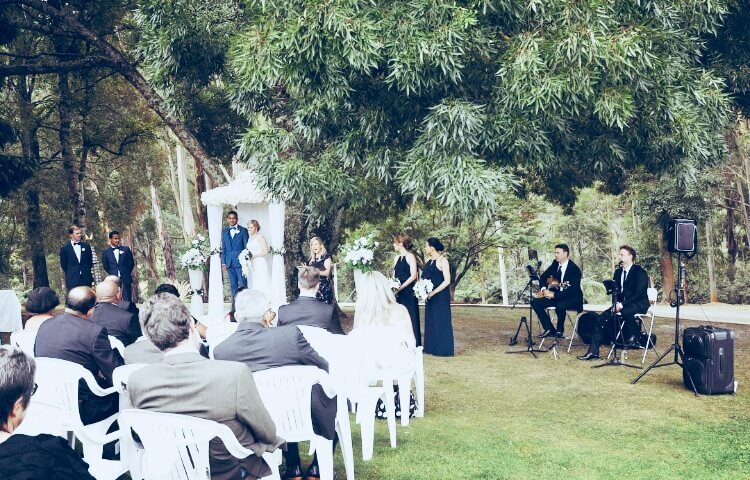 You walk down the aisle to our beautiful arrangement of your song. Whatever that may be. It’s your choice. We then play during the signing of the registry and as you leave the altar as Mr & Mrs.
We are extremely flexible and will work with you to make your day perfect. The reception is generally 4 x 45-minute sets. 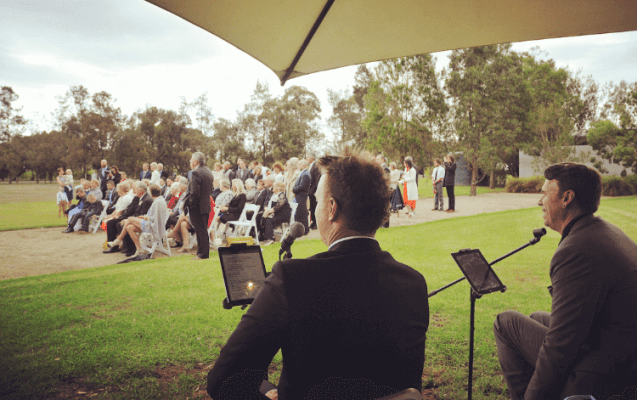 In 90% of cases, we play 2 x acoustic sets while guests are eating entrees and mains, then we kick it into top gear with the full band sound once all the formalities are out the way. If you are providing canapés for your guests prior to the official reception, we can certainly play the first acoustic set at that time if you would prefer. Again, the choice is yours. The bottom line – it is your day! There is no right or wrong way to run it. Your way IS the right way. 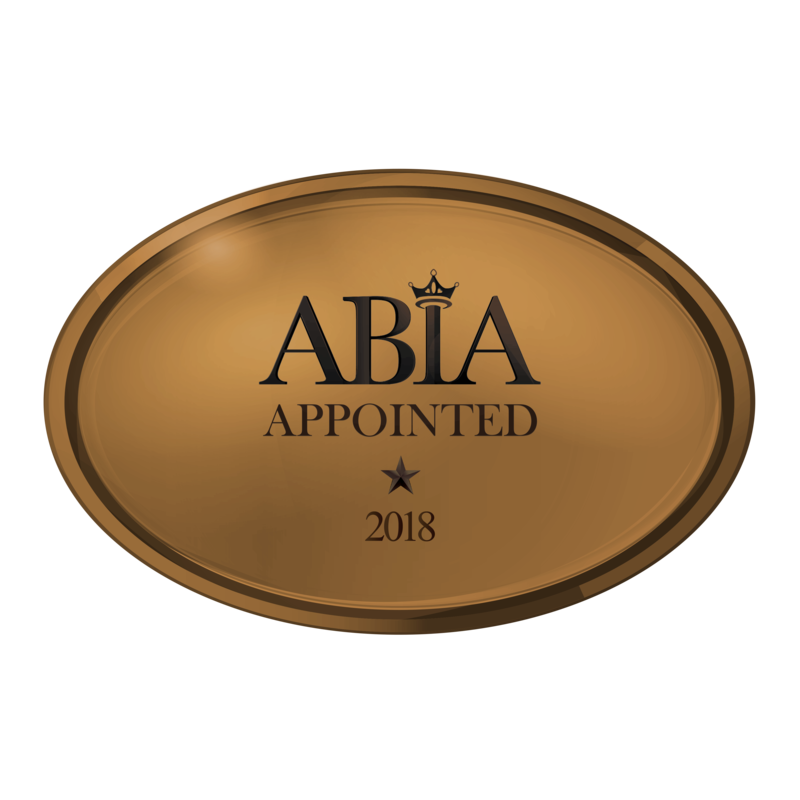 You just tell us exactly what you want and we are good to go. We can learn any song you would like to walk down the aisle to. Not on our list? No problem! We have the flexibility to play both acoustic ceremonies and full band sound receptions. A one-stop shop! We have been performing together for over a decade. We know what songs to play and when to play them. 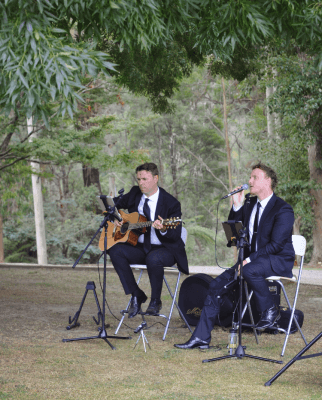 We have the equipment to play Indoor or Outdoor ceremonies. No power, no problem! We can play anything from small intimate functions to events with hundreds of people. We understand it is YOUR day. We fit around the events of the evening, not the other way around. 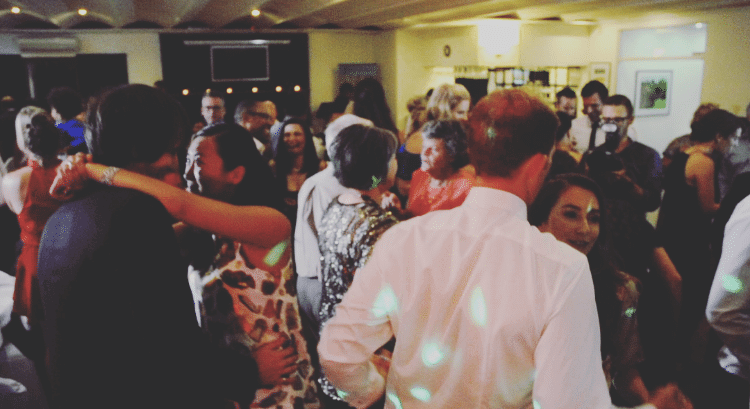 Planning a party or a private function? Why not make it something to remember and have live entertainment! It’s not as expensive as you might think. 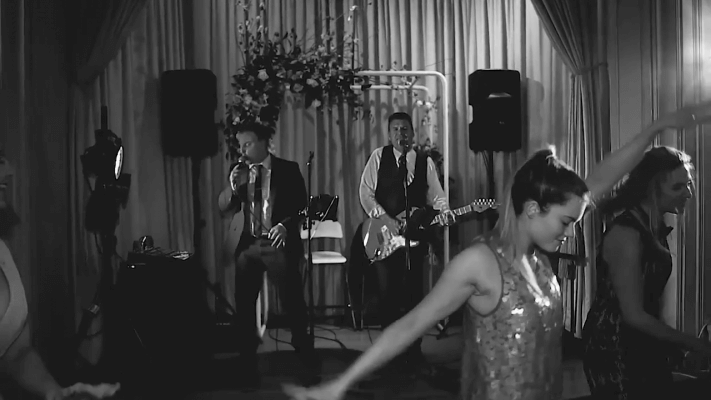 As you will see in our testimonials, many of our client’s guests rate the band as the most memorable part of the evening. 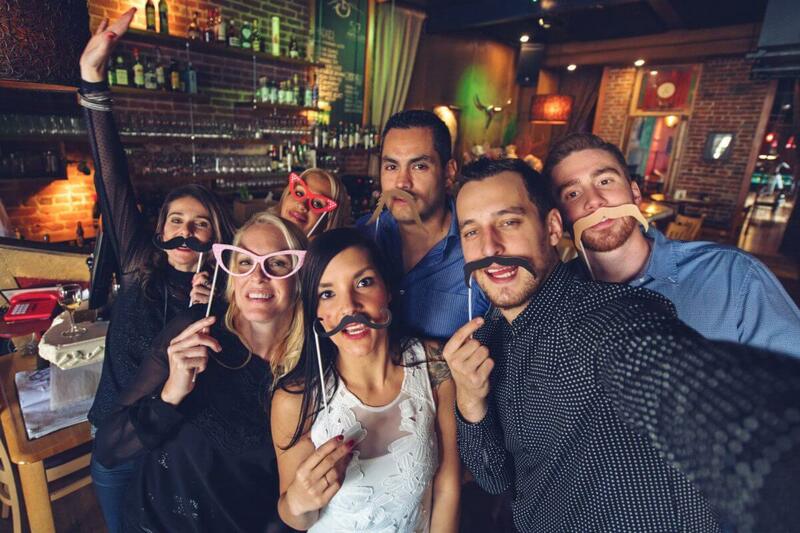 What exactly do we offer for parties? Put simply, we offer great music, great service and total flexibility. 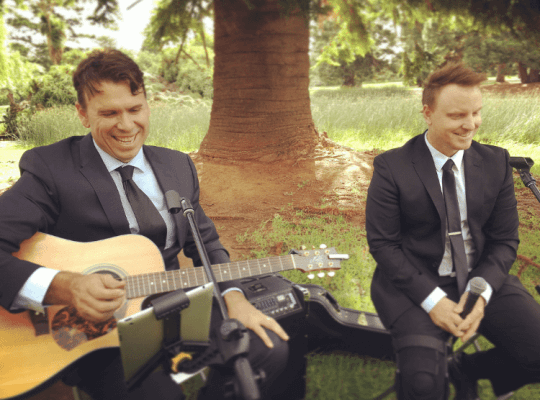 We play acoustic sets, sets with backing tracks, or a mixture of both. 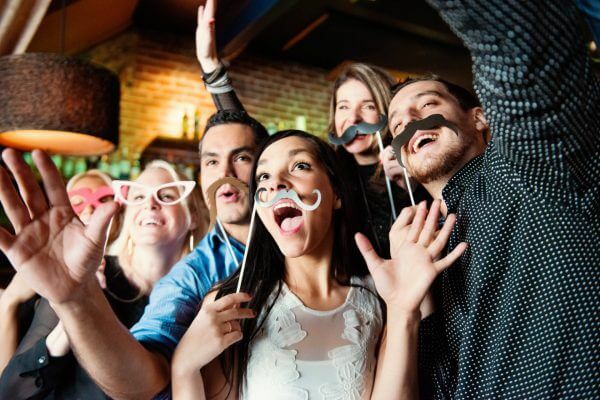 Generally we perform 45 minute sets, however, let us know what you are looking for and we will work with you to make your party something people talk about for a long, long time. There is no denying, live music kicks the party into a different space. 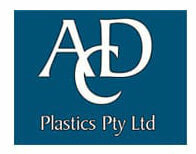 For years we have been the first choice of companies all over Australia, big and small. Our compact yet powerful setup has seen us play in all size venues, to all size audiences. Having the flexibility to change between acoustic sets to full band sound is what sets us apart from other acts. 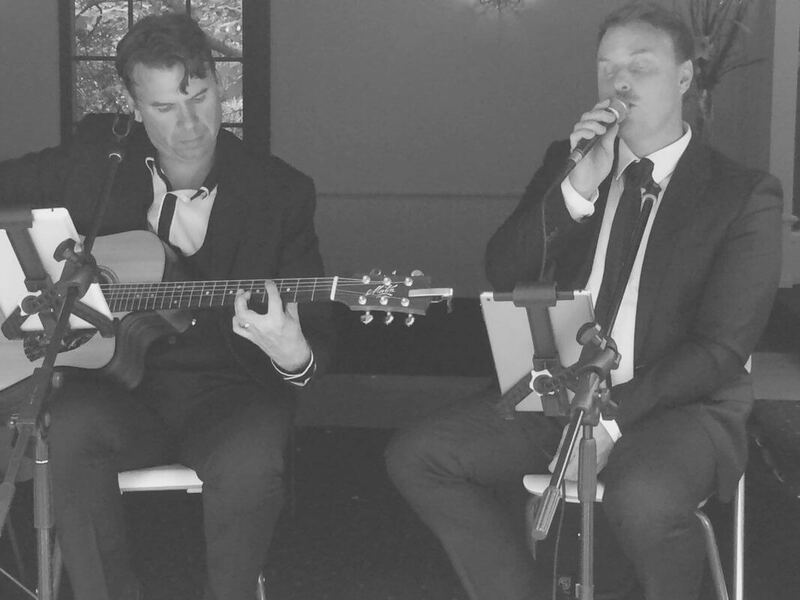 Warm your guests up with some ‘Sunday Session’ acoustic hits before charging onto the dance floor for the rest of the night. 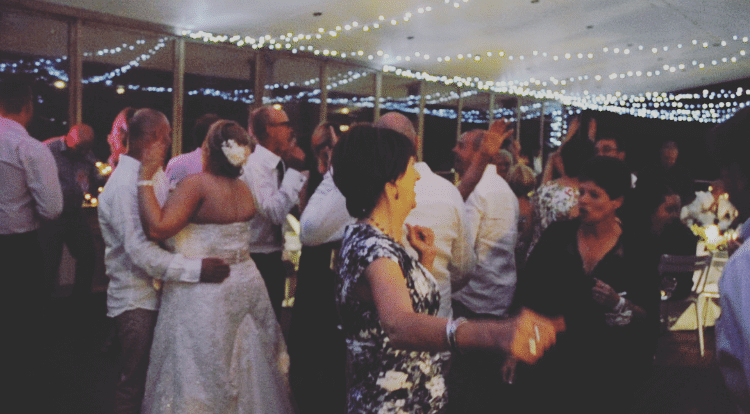 Our huge repertoire has everyone dancing the night away, from the copy kid to the CEO! Get in touch, brief us on what style of show you’re after and we’ll get to work!